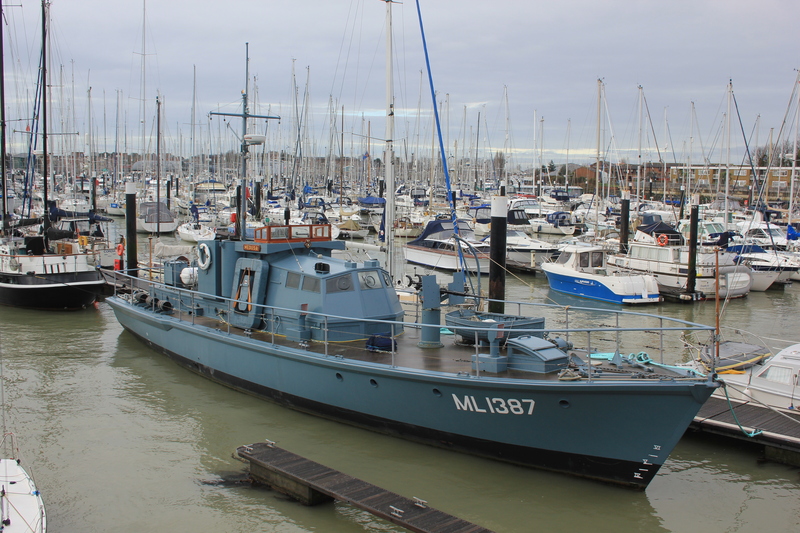 We bumped into an old friend at Gosport Marina – look! It’s ML1387 Medusa! We last saw her almost 6 months ago sailing down Chichester Harbour. Hello, old friend! In another part of the harbour we saw HMS Alliance. 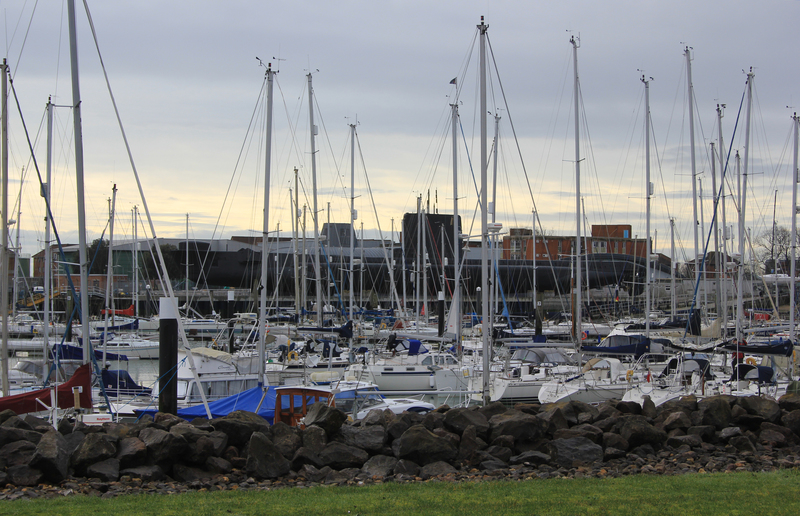 Well, we almost saw HMS Alliance; she was strategically tucked away behind a web of masts. Submarines are supposed to be stealthy, and this one was no exception. If you wanted a closer look (and we really did) you needed to go into the Royal Navy Submarine Museum. For those who did not have time (and we really didn’t) she remained tantalisingly out of reach. Can you see her? We continued on, along a rather tedious road-walk, until we got back to the coast at Fort Gilkicker on Gosport’s southern tip. Fort Gilkicker was one of the Palmerston Forts, and so never saw any action. 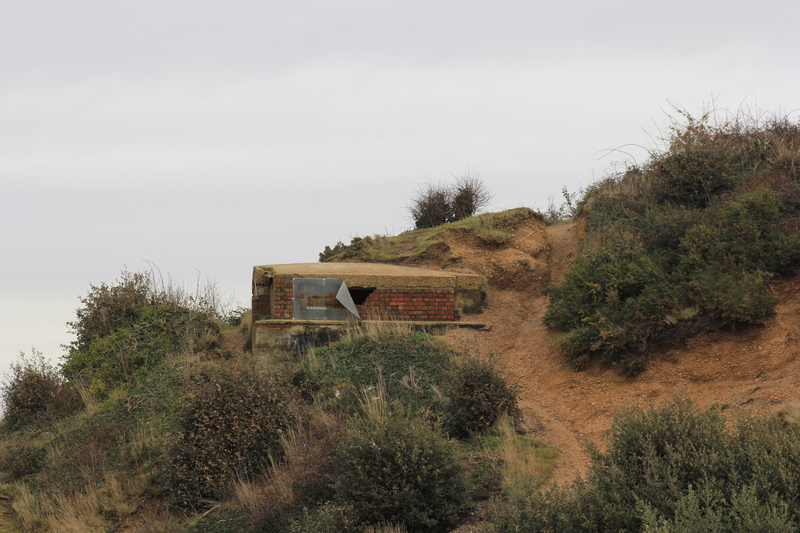 Like other Palmerston Forts, it served a defensive purpose during both World Wars. It is today a Listed Building and Scheduled Ancient Monument and is awaiting conversion into 22 luxury 3-storey houses. As we rounded the far side of the fort we found evidence of an incursion. These are not uncommon on such structures and for a minute I was tempted to crawl in and explore, however, I was lacking a torch. I did have an idea on how to overcome that problem: my wife has sparkling blue eyes, full of radiance, which would have lit the way as surely as a juggernaut on a midnight motorway. I turned to speak to her about my idea, but she was staring at me, obviously having guessed my intent. Like a bunny in her headlamps I froze for a moment too long and the idea was squashed flat. 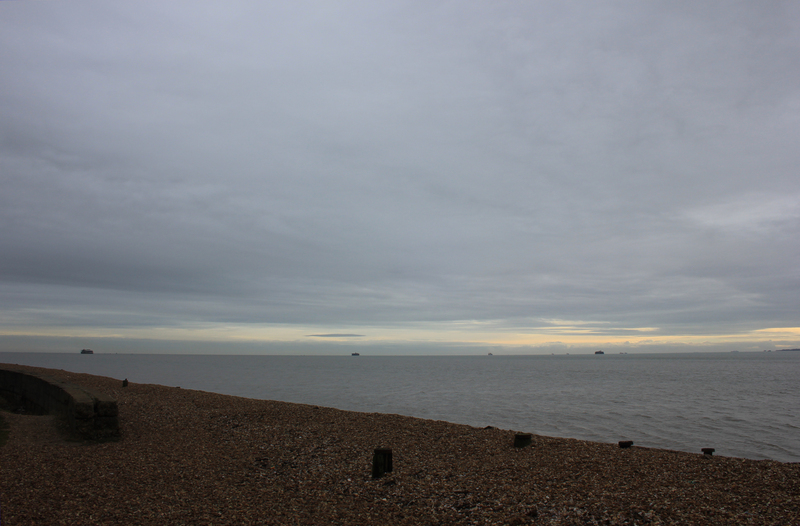 We continued on, taking a last look back at the Solent Forts which could now be seen standing guard in a line. 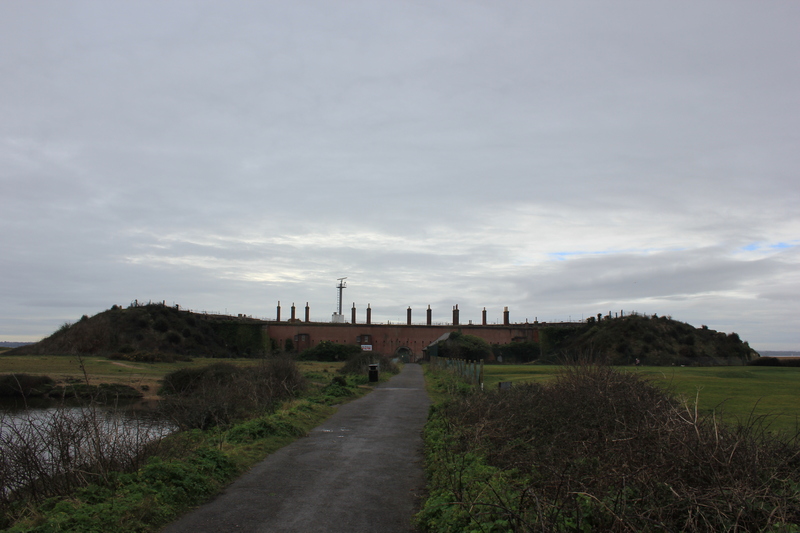 This entry was posted in Hampshire and tagged coast, Fort Gilkicker, Gosport, Hampshire, travel, walking. Bookmark the permalink. Such a charmer you are lol! Yeah, there are a few bits of annoying road walk, but worry not you are fast approaching some fantastic coastline. Here’s to plenty of fine weather. Yes! We reached Southampton yesterday and saw our first pine trees which (to us at least because I used to live there for a short while) means we are getting close to Bournemouth. We can almost smell the good pieces of coast to come! Love the boat shots! And I’m more sure (with every new post) that I’d get along quite well with your radiant wife!